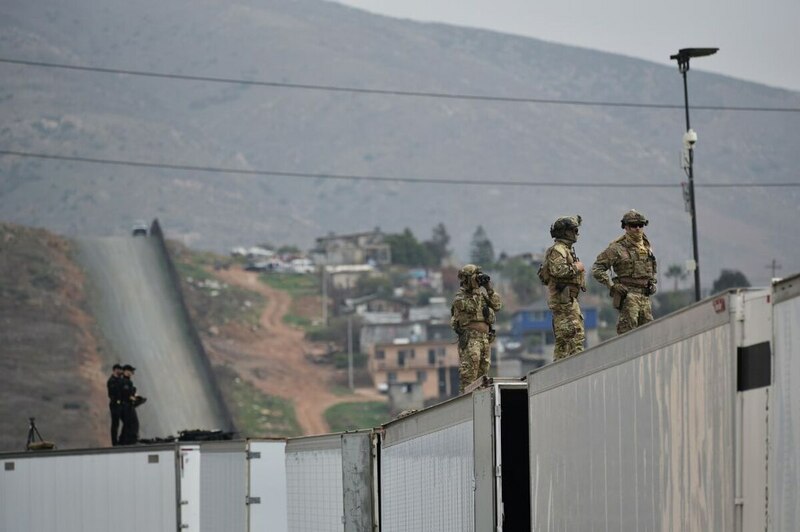 The Pentagon is looking at ways it can fulfill President Donald Trump’s request to have the military guard the U.S.-Mexico border, spokesman Dana White said. As it has become apparent that Congress was not going to give Trump the full funding he has requested to build a border wall, the president has looked to the military to fill the gap. Last week Trump suggested on Twitter that the Pentagon could spend some of its just-signed 2018 budget to help pay for the wall, which is estimated to cost about $25 billion. Then on Monday, Trump said he’d spoken to Defense Secretary Jim Mattis about how the military could further support the wall beyond funding. A defense official who spoke on the condition of not being identified suggested that one possibility is that National Guard forces could be used to secure the border as they did in the 2006 to 2008 Operation Just Cause, but the official had no additional details beyond that.